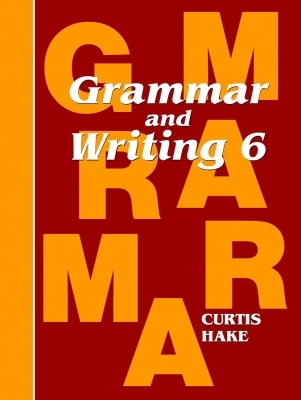 Grammar and Writing covers English grammar, writing, spelling, punctuation, and vocabulary development. Embedded in the examples and exercises is content from other subject areas, so that students learn valuable knowledge while developing their English language skills. Each Grammar and Writing kit includes three books, the Student Textbook, the Student Workbook, and the Teacher Packet. The Student Workbook, which includes writing lessons and supplemental activities, systematically guides students through the writing process, enabling them to become confident, successful writers. The Teacher Packet allows parents to schedule their child’s year and monitor their progress. Answers to every question in the book are provided, as well as tests masters and test answers.